Complementary Healthcare: Osteopathy, Cranial Osteopathy, Acupuncture, Counselling, Massage. Osteopath Lucy Osborne-Kirby has taken ownership of The Ashfield Practice. She is offering appointments for new and existing patients at the current premises on Ashfield Road in Chippenham, in addition to the new practice location at Equilibrium Natural Health Centre in Corsham. Over the coming months, Lucy will gradually transition all of her Chippenham appointments to Corsham. Lucy also offers some appointments in Westbury. You may have seen in the media recently that "The Lancet" (a medical publication) have called on medical professionals worldwide to stop offering ineffective and potentially harmful treatments to patients for low back pain. Research shows that people with low back pain are being harmed by an over-reliance on scans, surgery and opioid prescriptions, and could be more effectively treated by advice on self-management and less-invasive physical and psychological therapies. In the UK, the National Institute for Health and Care Excellence (NICE) have produced extensive guidance that recommends manual therapy as part of an overall package of care for those with low back pain. They also recommend exercise, self-management and psychological support which osteopaths routinely provide. The most common reason for a patient to visit an osteopath is for low back pain. It accounts for almost half of our workload, and we pride ourselves on offering care which is tailored to the individual. If low back pain is affecting you please don’t suffer, give us a call on 01249 659749, or book an appointment using our online booking service. 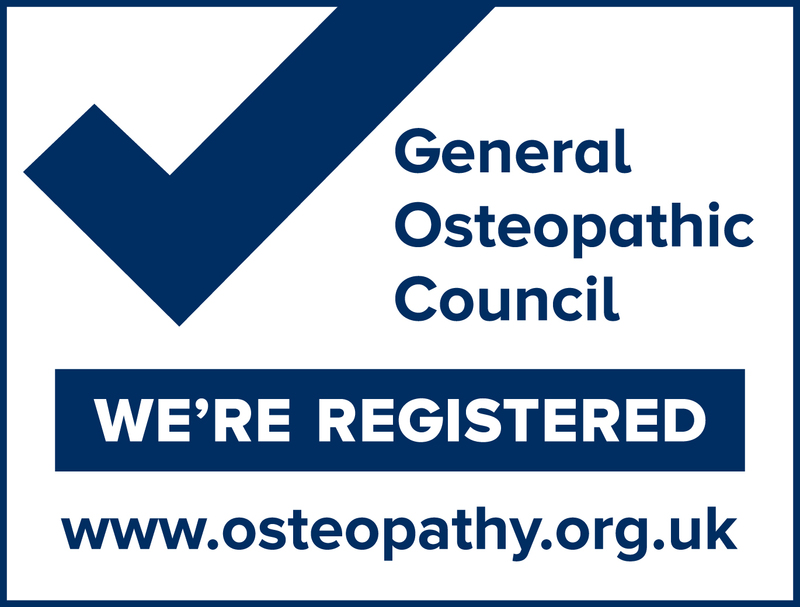 There is increasing interest in the provision of osteopathy from the public at large, from the NHS and from government. Osteopathy is currently used by some 13%	of the population in the United Kingdom. The following document is a summary of research into osteopathy as of 2013. Research into the benefits of osteopathy is ongoing, and we shall publish results as they become available. What Is Osteopathy? What Is The Evidence? Is It Safe? To check availability of appointments, please visit our Booking System. Please visit our Testimonials Page to see what our patients have to say about us. Private medical insurance companies will generally pay for osteopathy treatment - please contact your insurer for further information. At the Ashfield Practice we take our responsibilities seriously with regards to the collection, processing and management of your personal data. We have updated our procedures and documents to ensure that we are compliant with the new General Data Protection Regulation from May 25th 2018. Please read our GDPR Statement for details of the personal information we take during your visit as a patient, why we require it, how we we use it, how we get consent, how you can withdraw consent, how you can ask for it to be corrected, and where you can complain if you feel we have not managed your personal data lawfully.